Which desire you lead with in your headline matters. Get it wrong, and even the greatest copy won’t matter. Get it right, however, and the world will beat a path to your door. See, your headline is the bridge between your customer and your product. And there are basically three ways of channelling that desire in a headline. 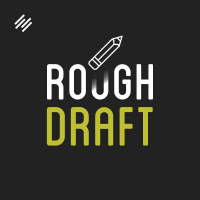 Demian Farnsworth: Hi, and welcome to Rough Draft, your daily podcast that delivers the essential writing advice you need to succeed online as a writer. I’m your host, Demian Farnworth, the Chief Content Writer for Copyblogger Media. And thank you for sharing the next few minutes of your life with me. So let’s recap from the last episode. We talked about desire, how which desire you choose is the most important step. Get it wrong, and even the greatest copy won’t matter. Get it right, however, and the world will beat a path to your door. One, if your prospect is aware of your product and knows that it can satisfy his desire, then state your product in the headline. The New York Times is a household name with high levels of credibility. Stating the name alone endorses the product. But we also know what the NY Times provides, so, in this case, just get to the offer. The second way to channel that desire is if your customer doesn’t know about your specific product, but only of the desire itself … in this case, your headline starts with the desire. For example, in a Men’s Health ad, the headline reads “Get Jacked Up and Ripped in Just 30 Days.” We don’t know what the product is, but we are clear on the benefits it offers. The benefit of being unapologetically attractive and irresistible … where women drop their jaws as you peel off your shirt in the grocery store parking lot (because, you know, it’s really hot outside). The benefit of being strong (lifting heavy office furniture or fighting anyone you want). The benefit of being athletic (like killing it in the Ironman or some spontaneous pull up contest). The benefit of being confident (strolling right up to any woman to ask for her phone number, demanding that raise from your boss). And the desire to be healthy (living longer, fewer medical bills). There are a lot of potential desires you could use in your headline. But the strongest desire is this: I am a wanted man because of my jack’d up chest and ripped torso. In case you were wondering, my mind goes numb thinking about the amount of effort you have to put into getting a body like that. I’d rather have a jacked up and totally ripped brain. And finally, the third way of channelling desire is if your customer doesn’t know about your product or the desire. In other words, your customer is seeking a general solution to a general problem. But doesn’t really know it. If that’s the case, then you start with the problem (use the Problem-Agitate-Solve formula we mentioned in episode 47) crystallizing it into a specific need. Here the product isn’t named, and your desire is nothing more than a vague sense that something is wrong. Could it be all this talk about the NSA? Or Google knowing everything I search for? Should you be concerned? Is it even a problem that your privacy is being threatened? So that’s three ways to inject desire into your headline: one, your audience is aware of the product and the desire, two, your audience is aware of the desire but not the product, and three, your audience isn’t aware of either the product or the desire. So this little framework will help you start to decide the strongest desire you should put in your headline. It will help you decide how to, as an old mentor used to tell me, “Open with the big guns.” Because there are lots of desires you could choose. But only the most powerful will ensure the farthest and deepest reach. And so your next step in this little journey is to decide which product performance best satisfies that desire. Which is for the next episode. Until then, take care. Oh my word I’m dying! (re: the benefits of getting jacked up) So well done Demian. Just tuned in for the first time today and I guess I’m going to have to add yet another podcast to my routine. Thanks Kyle! Glad you liked and subscribed. Really appreciate that. stay in touch. I swear, every single episode I listen. Then I go and look around the web, to look for your ideas in motion. Only to find a car pile up on the 405 at 5PM on a Friday. Gold true gold that anyone can smelter into internet bullion.